For other uses, see Muenster (disambiguation). 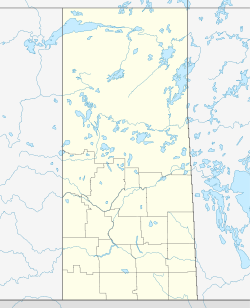 Muenster is a village in Saskatchewan, Canada, located 9 kilometres (5.6 mi) east of Humboldt on Highway 5. Muenster is named after the city of Münster, Germany. St. Peter's Abbey began in 1903 with the arrival of seven Benedictine monks. In 1921 St. Peter's Abbey became the Territorial Abbey of Saint Peter-Muenster. The abbot's duties were similar to that of a bishop of a diocese. The Territorial Abbey was suppressed in 1998 to become part of the Roman Catholic Diocese of Saskatoon. The historic territory of the abbey was also referred to as St. Peter's Colony. The villages and parishes in St. Peter's Colony included: St. Peter’s monastery and parish at Muenster, St. Boniface (Leofeld), Englefeld, Annaheim, Bruno, St. Joseph (Old Fulda), Marysburg, Humboldt, Lake Lenore, St. John Baptist (Willmont), Watson, St. Martin, St. Scholastico, St. Patrick’s, St. Oswald Immaculate Conception. Dana, St. Gregor, St. Bernard (Old Pilger), St. Leo (St. Meinrad), St. Gertrude, Carmel, Peterson, Cudworth, Naicam, Holy Family Mission, St. Benedict, Pilger, St. James, and Middle Lake. The majority of the early settlers in the region were German speaking Roman Catholics from the United States. The town's main drag, Railway Street. Muenster is home to St. Peter's College, an affiliate of the University of Saskatchewan. It was founded by the Benedictine monks of St. Peter’s Abbey in 1921. The college offers a full first year of Arts and Sciences classes and senior classes in several disciplines. Annual full-time enrollment is limited to 150 students. The skyline of Muenster is mainly defined by the steeples of St. Peter's College and Abbey. Muenster Hill is a popular local tobogganing destination. St. Peter’s College library is the third largest book repository in Saskatchewan. Wolverine Creek runs through Muenster, past St. Peter's College and Abbey. Muenster is home to the Muenster Red Sox, a senior baseball team. The Red Sox played in the North Central Baseball League from 1964–2003 and have since played in the Saskatoon Senior League. The community is also active in hockey and soccer. ^ "St. Peter's Abbey (short history)". Retrieved 2012-12-13. ^ "Territorial Abbey of Saint Peter-Muenster". Retrieved 2012-12-12. ^ "The German Catholics of St. Peter's Colony: 1903-1930 By Paul Paproski, OSB" (PDF). Retrieved 2012-12-12. ^ "The Encyclopedia of Saskatchewan (German settlements)". Retrieved 2012-12-12. ^ "2011 Community Profiles". 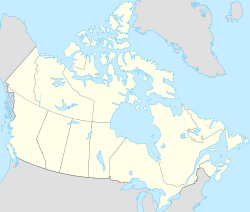 2011 Canadian Census. Statistics Canada. July 5, 2013. Retrieved 2012-12-08. ^ Brodner, Martin. "The Era of the Abbey Nullius". St. Peter's Abbey. Retrieved 2010-04-09. ^ "St. Peter's Cathedral". Retrieved 2012-12-08. ^ "St. Peter's Benedictine Abbey, Church and Bell Tower". Retrieved 2012-12-09. This page was last edited on 13 December 2018, at 12:55 (UTC).